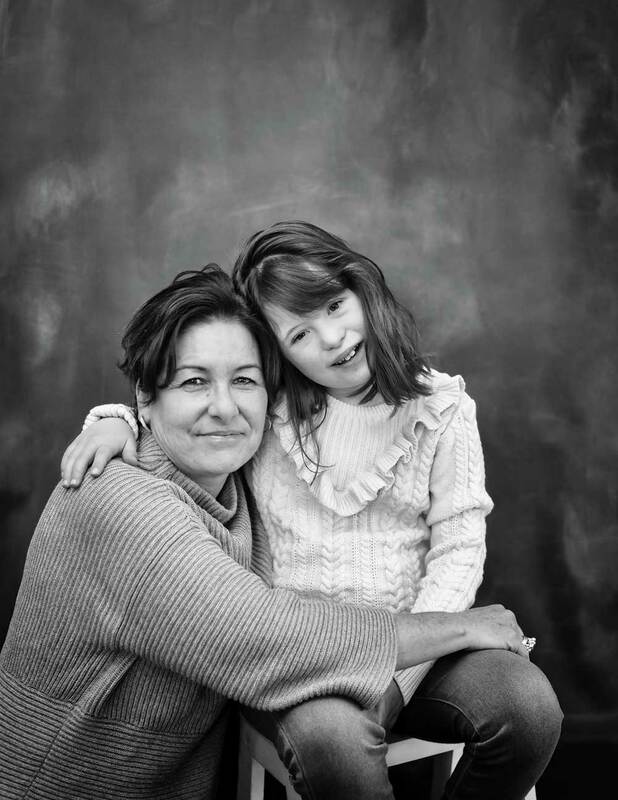 One mom’s story about advocating for her daughter. I didn’t already know this. Despite earlier ultrasounds that put us at a 1:5 ratio of having a child with Down syndrome, my husband and I had convinced ourselves, 1 in 5 meant we had close to an 80 percent chance the fetus was fine. I couldn’t breathe. I raced to the front of the store abandoning my cart as I ran out the door and into the safety of my car, where I sobbed inconsolably at the loss of life as I knew it. Before that fateful day, I planned my life in advance, and it pretty much went according to plan. I was a double-major undergrad, got a professional job working for a broadcast network right out of school, married my handsome husband, learned the art of documentary filmmaking from some of the best in the business, bought a house, had two children, a boy and a girl. We even had the golden retriever. Life was perfect. Or that’s what I told myself. We were told the fetus also had a congenital heart defect, a hole in the center of the heart affecting all four chambers, but it could be fixed. The extra chromosome could not. We were faced with agonizing decisions — terminate the pregnancy based on the diagnosis or continue the pregnancy unsure of whether the fetus would survive. How would we care for a child with a disability, and what effect might the disabled child have on our other two children? How does one make such decisions? It’s hard to say for sure although I do know we made the decision that was right for our family. The day our third child was born I drove myself to the hospital. It was 7 a.m. the morning after Christmas, and it was snowing. I had to take my husband’s work truck because my car wouldn’t start. His defroster was broken. I pushed my nine-month pregnant body in and out of the truck’s cab twice to chip at the frozen window with an ice pick. I can picture myself even now, oblivious of the bigger picture, as I peered through that one small hole in the windshield guiding me alone down the interstate. The picture feels like a symbol of the person I was then — clueless about everything around me, never asking for help, just trying to get ahead. Our daughter, Grace, was born at 8 that night. The room was full of doctors, residents, and nurses all whispering and waiting. They whisked her to the NICU quickly after she was born. I saw her for a minute, and she was gone. After I was brought to my room, the nurses periodically came in to let me know they could take me to see my new baby whenever I was ready. Throughout the night they returned with gentle reminders. I didn’t go to the NICU until 5 a.m. Nine hours had passed. I didn’t realize it then, but I was full of fear. I was afraid of what she looked like. I was afraid of whether I would love her. I was afraid of everything I had ever learned about people with intellectual disabilities. Then, I saw her. She weighed 6 pounds, 15 ounces, practically a toddler in the NICU! And she was beautiful. I touched her soft hand and started whispering to her, “You’re beautiful.” After a typical four-day stay, the doctor handed us our baby to take home. “Just watch out for heart failure,” he said. On March 4, 2008, at 2 months and 8 pounds, Grace was put on a heart/lung bypass machine and her heart, the size of a strawberry, was stopped. The surgery lasted six hours, and her heart was fixed. Yet in many ways our hearts were still broken. We had been stripped of everything we had ever thought our future would hold. But as we held Gracie’s tiny body carefully wrapped in plastic tubes in the cardiac ICU, silent except for the cadence of the beeping machines, we were witnesses to the other families among us. We saw the majesty of fear and love intermingled with hope and despair. We were all desperately fighting for our children’s lives. We had befriended another family whose baby did not survive. When we crossed the threshold of Boston Children’s, out into the world of the living, we deeply understood how fortunate we were our baby was alive. And we vowed to be her staunchest advocates. Our new world was one of visiting nurses and early intervention. Gracie began to thrive. Because we knew her speech would be delayed, we used American Sign Language (ASL) to communicate. She signed “milk” at just 6 months old! By the time she was 2, she had more than 200 asl signs. She walked when she was 3. She began talking at 4. Her first sentence was “clouds like pillows” as she stared out the window on a car ride to preschool. We enrolled her at the Tufts Educational Day Care Center, a developmental preschool that practiced the philosophy, “We are all experts at something, and we are all working on something.” When I hesitated at the suggestion of Gracie using a posterior walker to strengthen her legs because I was concerned the walker would separate her from the typically developing children in her class, the lead teacher assured me, “We get what we need in our school.” Gracie began walking a month later. The school was a wonderful fit for Gracie and a perfect introduction to us of what inclusive education should be. We had no idea the battle that lay ahead. 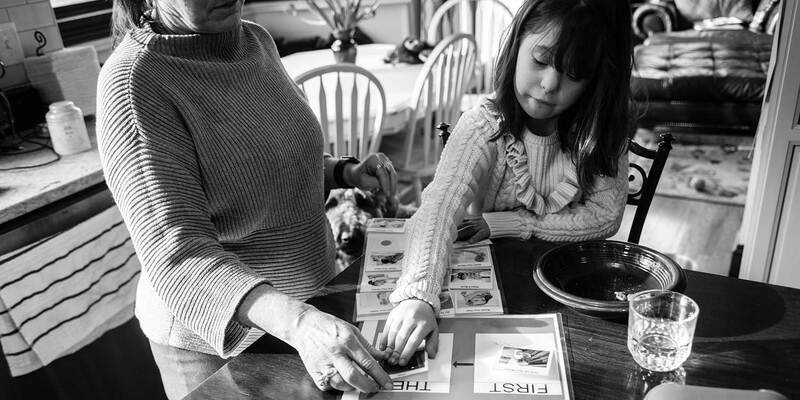 At age 3, Gracie transitioned from early intervention to the public schools, from an IFSP (individualized family service plan) to an IEP (individual education plan) — our first introduction to a new language of education acronyms. I was a researcher by nature and was reading everything I could find on the benefits of inclusive education. I mentioned to a school administrator that we wanted Grace to attend preschool with her nondisabled peers. I was surprised when she replied we had to see what Grace’s attention span was first. I wondered if typically developing preschoolers were placed depending on their attention span. I knew the benefits of early childhood education on life outcomes. Research by educators like Annette Holahan, Virginia Costenbader, and others shows that children who attend quality preschool are more likely to graduate high school, hold a job, and earn a higher income. High-quality preschool inclusion can help young children succeed not only in preschool, but also into adulthood. And children with disabilities who are included in high-quality classrooms with their typically developing peers show positive gains developmentally. Preschool was the year we encountered our first battle with our school district. We felt Grace required a full-day inclusive preschool environment. Our district was recommending a two-hour partially segregated program. We enrolled Grace in a private, high-quality, full-day developmental preschool through our local university at a monthly cost equivalent to a mortgage. Then we hired an educational advocate and a lawyer. We filed for a hearing with the Bureau of Special Education Appeals, and we learned the two most important acronyms of Grace’s academic career: FAPE and LRE. I am ashamed to admit when Grace was born, I was worried what she would look like. When I was pregnant, I had met parents who had children with Down syndrome that told me their child “looks like his brother or sister.” I didn’t see it. To me “they” all looked the same. Once my eyes were open and my personal awakening began, I thought about why I had so many misconceptions about people with disabilities. How was my prejudice any different from the classism and racism I had witnessed growing up in a segregated poor white community in the ’70s? History would be my teacher. In the 1940s and 1950s, children born with disabilities in the United States were taken en masse from their families and institutionalized in places like Willowbrook State School, a facility with horrible conditions that Senator Robert Kennedy likened to a zoo. In 1953, the clinical director at the Fernald State School in Waltham, Massachusetts, invited 100 students with mild intellectual disabilities to participate in a “science club” with promises of outings and snacks. The director got permission from parents so that “blood samples are taken after a special breakfast meal containing a certain amount of calcium.” In reality, the children’s oatmeal was secretly laced with radioactive material. This horrifying history of inhumanity to our most vulnerable population resulted in a family uprising. Families came together to form advocacy groups like The Arc, one of the oldest disability advocacy organizations in the country, to be the “catalyst for changing the public perception of children with disabilities.” Other families, like the Kennedys, brothers and sisters to Rosemary Kennedy, an intellectually disabled woman, worked to create legislation to improve the lives of the intellectually disabled. As a result, funding was provided for state developmental disabilities councils, protection and advocacy systems, and university centers. A decade later, Massachusetts would set the stage for the rest of the country as parents advocated for the first law permitting children with disabilities to attend public schools, Chapter 766. A year later, in 1973, the federal law, Section 504 of the Rehabilitation Act, was the first civil rights law protecting Americans with disabilities from discrimination by any program receiving federal assistance. And in 1975, the Education for All Handicapped Children Act was signed into law, requiring public schools to provide equal access to education to children with disabilities by offering a “free and appropriate public education” (FAPE) in the “least restrictive environment” (LRE) — the environment that offers the maximum possible opportunity to interact with nonimpaired students, stating “separate schooling may only occur when the nature or severity of the disability is such that instructional goals cannot be achieved in the regular classroom.” This critical piece of legislation, later renamed the Individuals with Disabilities Education Act (IDEA), also included the right to due process and a formal complaint procedure for families. Finally, our children would be able to attend public schools, have civil rights, and be educated with their nondisabled peers. And if they weren’t, then a formal process was established for families to advocate. These pioneer parents from the 1970s were the first to bring disability issues of segregation, lack of education and training, and lack of support services to legislators, educators, and the public. Taffy Nothnagle, parent of a son, Jay, with Down syndrome, remembers when Chapter 766 was passed in 1972. While legislation and litigation have been the levers for families advocating for change, the cost of hiring attorneys is often prohibitive. Even though the laws apply to all citizens, education access is still not equal. “Who can afford the lawyers? I think that’s why some districts bring things to court because they know parents will give up. If you look at who gets services or out-of-district placements, it’s often disproportionately middle-class white people,” says Roxanne Hoke Chandler, the family and communication engagement director at the Federation for Children with Special Needs (FCSN), a Boston-based training and information center for parents. She is a single mother of two young women, Ebony and Faith. Faith has autism, Down syndrome, and a mood disorder. Hoke Chandler had to advocate for Faith beginning in early intervention. Through the federation, she took a basic rights training. In 1997, President Clinton reauthorized the EAHC, which became IDEA with several key amendments that emphasized providing all students with access to the same curriculum. In 2004, Congress amended idea by calling for early intervention for students, greater accountability, and improved educational outcomes, and raised the standards for instructors who teach special education classes. As I worked at translating the foreign language of education — IDEA, FAPE, LRE, IEP, PBIS, FBA, MTSS, UDL — I matured in my own advocacy efforts. I became cochair of our special education parent advisory council and cochair of the State Department of Education Special Advisory Council, where I discovered a report, Review of Special Education in MA, by Professor Tom Hehir. Hehir was director of the Office for Special Education Policy and was pivotal in advising the Clinton administration on the reauthorization of IDEA. I saw Hehir’s work being taken seriously. I was beginning to understand how one sows the seeds of systemic change. In 2016, I applied to the Ed School. I wanted to work directly with faculty like Hehir, to learn best practices in inclusive education, and Professor Paul Reville, to understand state education policy and systems redesign. I was feeling overwhelmed and alone, as I was also advocating for Grace to be placed in a general education setting in first grade after having fought for inclusion in preschool and kindergarten. I realized I will be advocating for Grace and children with disabilities for the rest of my life. In order to create real systems-level change, I would need to learn from change agents like Hehir, Reville, and others who taught me the achievement gap and opportunity gap are wider for students with disabilities than any other subgroup, that poverty and race are equally important considerations, and that acceptance and inclusion of people with disabilities requires adaptive change — it is as much a hearts-and-minds issue as it is a legislative advocacy issue. Oanh Thi Thu Bui, a health educator at FSCN, emigrated from Vietnam when her daughter, Tiny, was almost six. 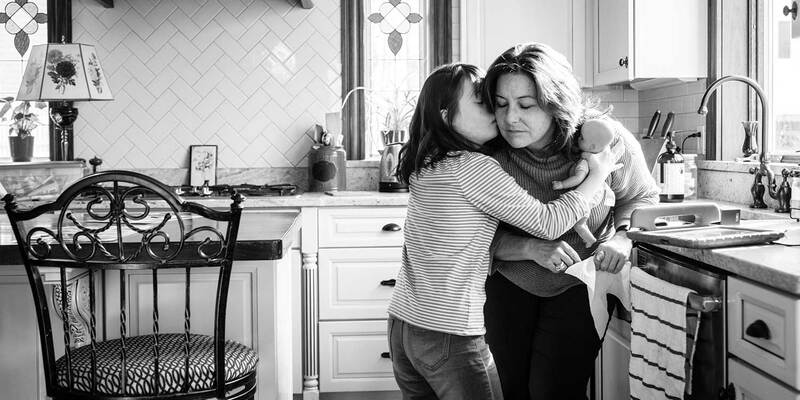 She came as a Brandeis fellow, but also because nothing existed in Vietnam to tell her what was going on with Tiny, who has Kabuki syndrome and autism and not allowed to go to school. This is certainly true for us. But let me be clear: Gracie is not the burden; the system is. I have had to attend pto meetings, sitting on the wrong side of the table describing to families without children with disabilities why the Americans with Disabilities Act and “reasonable accommodations” must be made for our children to access enrichment programs. I have gone before school committees when families are being told by recreation departments that “there are programs for children like ours.” I have had to file due process complaints and be confronted by parents who felt our daughter didn’t belong in the general education classroom because “inclusion doesn’t work. Those kids get more money than anyone else. They have entire teams working for them, and it still doesn’t work!” We agree. Bad inclusion doesn’t work, but then we were asked why we would “choose” bad inclusion. I have changed my career from a filmmaker to a policymaker. And, yes, I am tired. Some days I feel defeated, but what other choice do I have but to advocate? When I am feeling low I remind myself that instead of having to do something, I get to do something; loving people with disabilities will teach you that life lesson. In so many ways I am fortunate I get to advocate for Gracie — hiring attorneys, independent evaluators, and consultants. Families who are economically disadvantaged or who don’t speak the language have a much more difficult time navigating the system. And while I would argue it shouldn’t be our burden to bear, I would argue more that it shouldn’t be our burden alone to bear. We all — teachers, administrators, legislators, policymakers, and families — have a moral obligation to every student, with and without disabilities, to provide equity and inclusion for all children.Gracie is in a third-grade classroom where she is technically fully included although we continue to advocate for authentic membership while our school continues to recommend a more restrictive environment. The reality is most general educators are not taught nor expected to work with children with disabilities. There is no pre- or in-service instruction to teach children with disabilities. As long as we segregate our educators, how can we expect them not to do the same with our children? We are fortunate our older children have an understanding and sensitivity toward diversity that any nurturing parent would hope for. 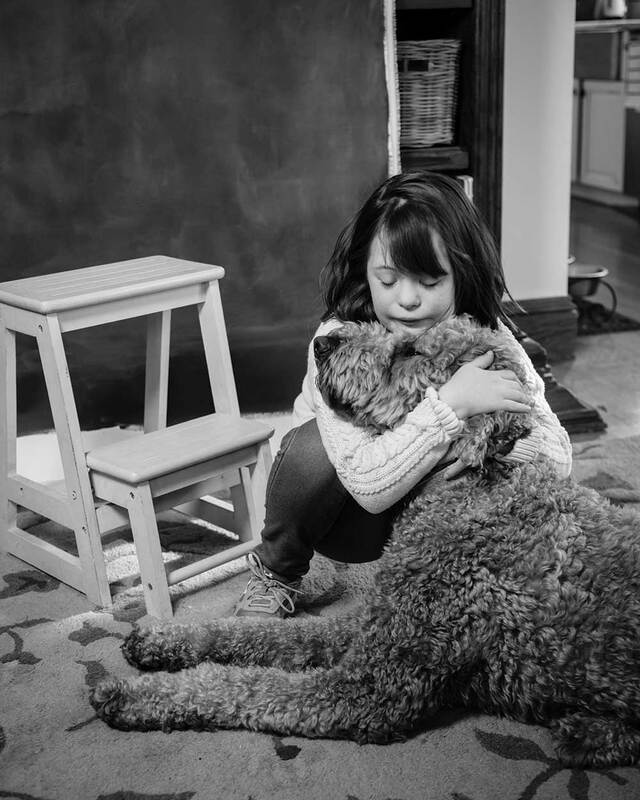 We teach Grace that her disability is part of who she is and that disability is natural — we are all disabled, whether through birth, accident, illness, or condition. We tell her we love her and her Down syndrome, and she responds, “I rock that chromosome.” Our hearts are healing, and we have been given the gift of seeing beyond the world in which we lived.